What kind of end can we imagine, fast and sudden catastrophies, a slow process or no end at all ? In which conditions was a Roman city buried underneath sand, earth and vegetation? 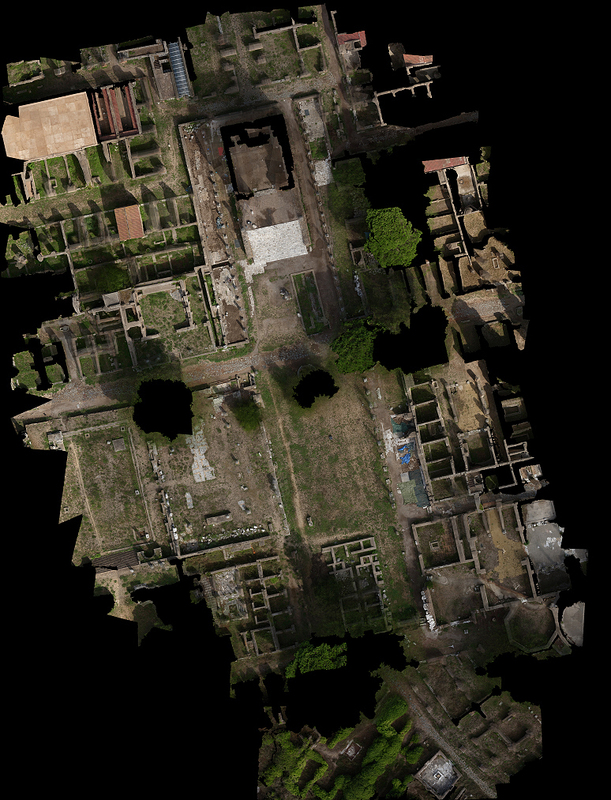 And why were the ruins preserved in its very specific shape as we can find it by excavating today? 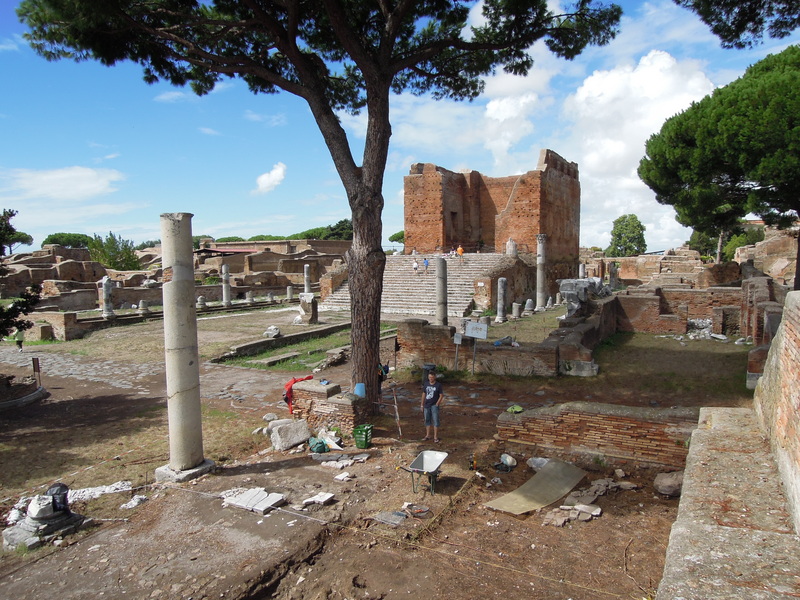 We focused our archaeological methods on a largely excavated site, Ostia antica, which allowed us to analyse big surface-areas with comparably minimal effort of new excavation acitivities. So, let us exclude usual questions regarding churches and Christian topography and let us ask: What happened to the Roman city-centre in the late antique period? What happened to the splendid profane and sacred marble buildings, which had already existed for centuries? 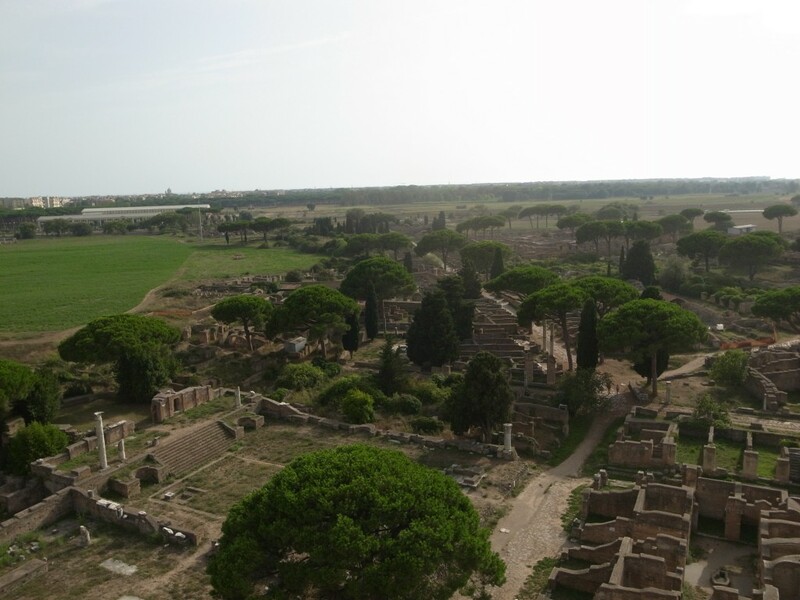 How was the outlook of Ostia’s city-shape in the 4th century AD and especially in the almost unknown 5th century AD or even later, when written sources of building- or renovation-activities in Ostia had disappeared almost completely? 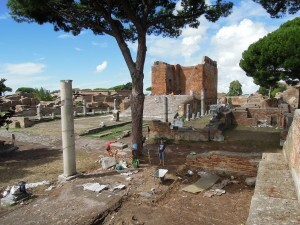 How long and in what ways was the former administrative and political city-centre maintained after earthquakes, ‘barbarian’ raids and the official end of the Roman Empire in the West? Late Antiquity is one of the most fascinating periods of research – because there is still so much completely unknown material-evidence to uncover, which can change our perception fundamentally of history and daily life of these times .